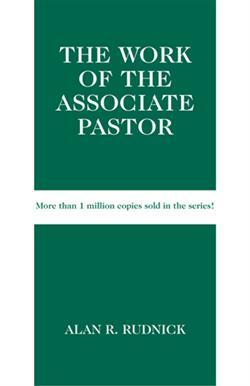 Article: "Three Simple Ways to Appreciate Your Associate Pastor"
A new vocational volume in the best-selling "Work of the Church" series! Associate ministers also will find a personal assessment, helpful in discerning when to stay and when to leave their associate position. Overall, this is an ideal resource for graduating seminarians seeking associate opportunities, as well as church leaders looking to establish an associate position. Alan R. Rudnick, MDiv, is an American Baptist pastor, author, blogger, and social media practitioner. He is senior pastor of the First Baptist Church of Ballston Spa, New York, and previously served in pastoral staff ministry for more than 10 years. In 20102011, Rudnick was a Fellow with the Lewis Center for Church Leadership housed at Wesley Theological Seminary. Visit Alan's website at http://alanrudnick.org.